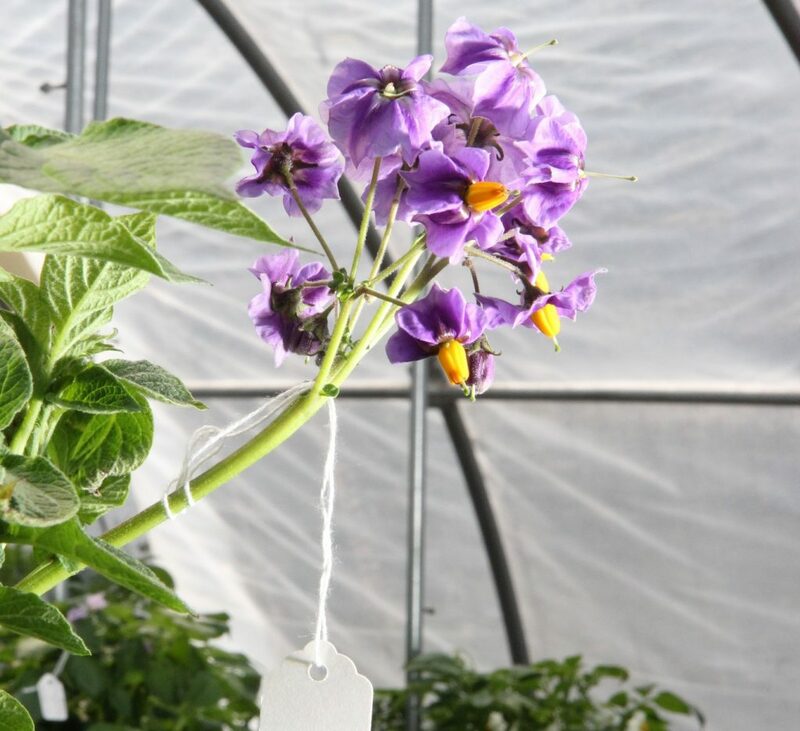 The Rhinelander Agricultural Research Station, also known as the UW Lelah Starks Potato Breeding Farm, has been a home for University potato breeding research for over 50 years. The station was made possible through a gift of stock from the estate of Lelah Starks, a pioneer Wisconsin seed potato grower. Starks left the UW one-fourth of the corporation stock as designated in her will. The corporation, Starks Farms, Inc., owned and operated her seed potato farm near Rhinelander. In time, the University exchanged a portion of its stock for the parcel of land that is now the Rhinelander Station. The University has used this property for potato breeding since before the death of Lelah Starks in 1951. It remains a primary site for ongoing research related to potato production. Many studies mapping the basic nature of the genetics of the potato have been carried on at this facility, resulting in national and international recognition through numerous publications and the release of new and improved potato varieties including Antigo, Red Beauty, Superior, Wischip, Oneida, Rhinered, Snowden , MegaChip, and most recently, Lelah, Tundra, Nicolet and Accumulator. In 2014 we released Oneida Gold and Red Endeavor.